There is one word in the dieting world that absolutely makes me cringe. RESTRICTION. How often do you enthusiastically start your new diet regimen, pumped to shed some serious weight, and then find yourself craving your favorite chocolatey or deep-fried treat a few days later? You start off strong, but before you know it, you feel completely trapped by the craving. It’s all your brain (and belly) can think about! You go through the day telling yourself you can resist the urge - and before you know it - you're scarfing down those free donuts in the break room and there goes your so called “diet.” You’re either ON or OFF the diet train and there is no inbetween. It’s either time to start over next week, or hope to find a new diet that finally works for you. This diet and restriction mentality makes us feel terrible about our ourselves, our self-control, and about food in general. What if I told you food isn't supposed to feel so restricted and off limits? It is actually supposed to make us feel GOOD! When we eat foods that make us feel amazing, our bodies will naturally settle at their desired (and healthy) weight. Now, before you start telling me that chocolate cake makes you feel amazing (ok, yes... sometimes a good piece of cake really does hit the spot ;)) really try to imagine how your body feels after you eat this treat. Are you more energized or tired? Bloated or just fine? Do you continue to crave more sweets or are you satisfied? Think about what your body is trying to tell you after you eat. I want you to take a moment to think about what we are realistically designed to eat. When we feed ourselves whole, natural, and nutritious food - we are supplying our bodies with the vitamins and hormone happy nutrients it needs! When your body feels nutritionally satisfied, you would be surprised at how many of those sugary and simple-carb cravings disappear! Believe it or not, when you're feeling sluggish, bloated, or craving carbs and sugar - it's not your willpower that's lacking. More often than not, it's your hormones trying to tell you that they need some love and attention in the food department! It’s time to focus our attention on eating food that makes us feel vibrant and energized, oh, and food that tastes amazing too. Craving some pasta? No problem! 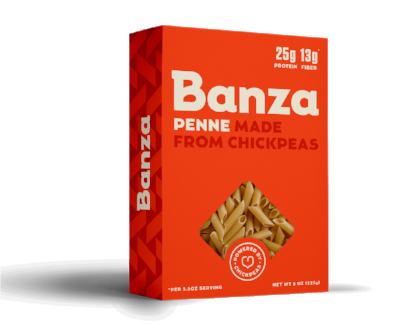 This chickpea pasta by Banza is delicious and packed with protein and fiber! No gluten. Throw in some spinach and free-range chicken and you’ve got yourself a delicious meal. It’s taco-tuesday and you’re looking for a tortilla to wrap all your sauteed veggies and grass-fed beef in. 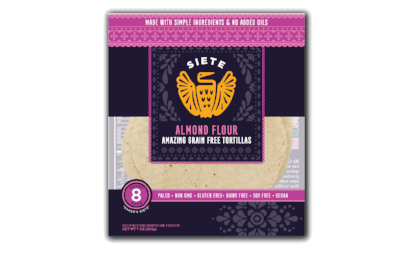 Try out these almond-based tortillas by Siete Family Foods instead of flour or corn! They also come in coconut, too. 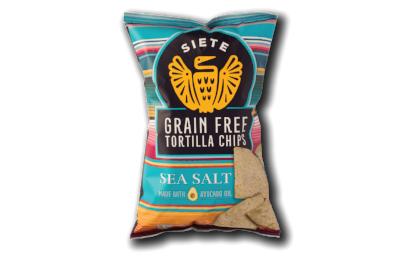 While we are at it, these Siete chips are also to DIE for. No gluten, corn, or nasty seed oils. Feeling a mid-day snack? 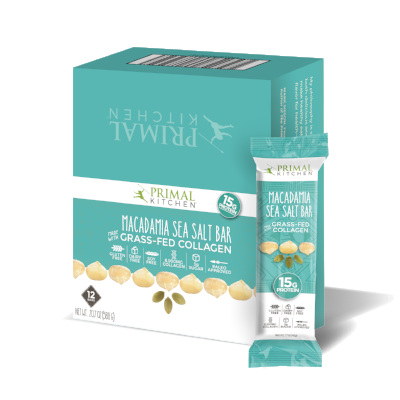 These bars from primal kitchen are a great source of protein, fat, and collagen to keep you energized and satiated until your next meal. 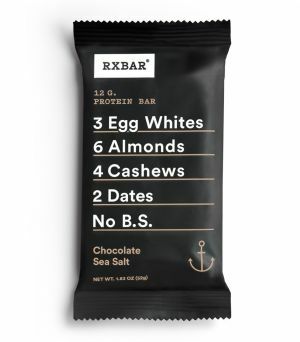 Or, go for an RXbar; just be careful with the sugar (all natural, made from dates) if you are prone to insulin spikes. Sticking with Primal Kitchen trend (Everything here is GREAT!). Try out this healthier and all-natural mayonnaise the next time you’re looking to top off your burger or make some delicious tuna or chicken salad. Sometimes you just need some freakin’ crackers to dip in your guac or hummus, am I right? These crackers by Mary's Gone Crackers' are gluten and dairy free. They are also packed with nutritious nuts/seeds and complex carbs from brown rice and quinoa. If you are sensitive to soy, check the back label. Some of the flavors contain soy and some do not. I opt for the soy-free flavors like the jalapenos or super-seed. And finally ... chocolate! This is my favorite brand because its 85% dark chocolate, soy, and dairy free. Dip it in some almond butter and you're in HEAVEN! Have you tried any of these brands before? Share in the comments below! And don't forget to keep an eye out for my next "Favorite Substitutions" for more delicious and healthy brands. Is Hormone Imbalance Affecting You? A List to Jumpstart Your Healing!